In 1915 Vera Brittain abandoned her studies at Oxford to enlist as a nurse in the armed forces, serving in London, in Malta, and at the Western Front in France. By war’s end, all those closest to her were dead, and she had witnessed firsthand the destruction and suffering of modern combat. 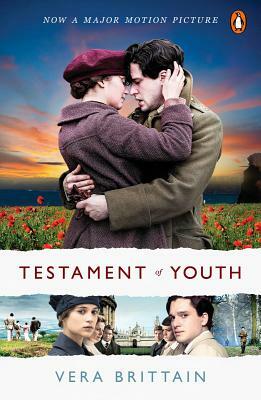 Much of what we know and feel about the First World War we owe to Brittain’s Testament of Youth. In this elegiac yet unsparing memoir, Brittain focused on the men and women who came of age as war broke out, exploring their politics, their hopes, and their fatal idealism. Acclaimed by the Times Literary Supplement as a book that helped “both form and define the mood of its time,” this searing portrait is also a testament to every generation irrevocably changed by war.